This summer’s only festival that makes you feel like a copilot in a full of adrenaline aviation show on Tuzla Airfield, has gathered artists from all around the world for 5 days and nights of partying on the Black Sea’s shore. 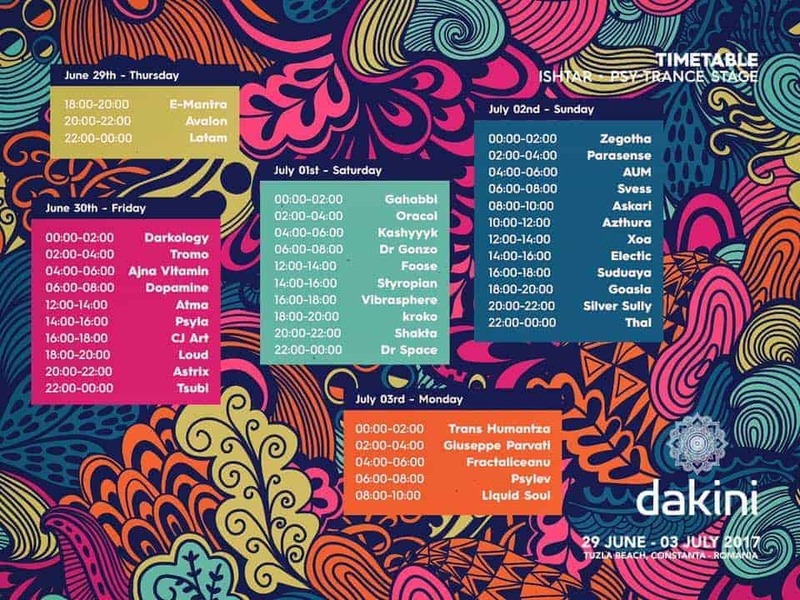 Dakini Festival is a new festival spearheading another psytrance culture growth into Romania. The festival will take place in the wilderness on the Romanian Black Sea coastline, on the virgin lands of Tuzla Beach, Constanta for four days and nights of music, speakers & workshops, art installations and more, in one of Eastern Europe’s biggest yoga villages featuring some of the world’s most inspiring and creative minds. 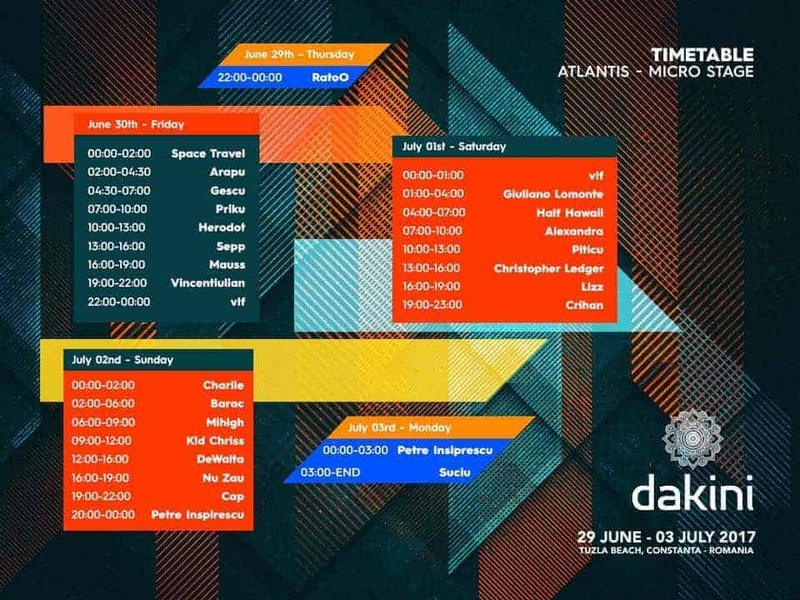 Dakini Festival will take place between 29th of june and 3nd of july and will bring over 100 artists on all three stages: chill/live, micro-house and psy-trance. To create a memorable event on the Black Sea Coast that brings together people who actively pursue a life of spiritual elevation through music, dance and yoga. Dakini aims to inspire active people from Europe and around the world connect in an environment that celebrates life, nature, freedom, tolerance and creativity, and elevate through better understanding of the world, the self, the nature and the relation between them. To become the premiere spiritual event in Romania, a catalyst that inspires our community, is internationally recognized and financially sustainable. Located on the Romanian Black Sea Coast, Dakini will become a year after year destination where everybody feels free and open to share quality mind-expanding experiences that contribute to peace within and in the world. How? Participants from different countries, guests from other cultures and traditions, the exposure of the new ideas and perspectives – including the impact we have on nature and the sentient beings with which we share this planet – will enrich us spiritually and make us to understand how we can do better and fairer for our entire world. The Psytrance stage will host among others: Astrix, LOUD, Avalon and E-Mantra; The Chillout Stage will host among others: Desert Dwellers, GAUDI, Carbon Based Lifeforms, Vibrasphere, Kaya Project, Suduaya, Irina Mikhailova, Solar Fields, Globular, Ancient Core, Kukan dUb Lagan, DJ Johnny Blue & Zen Baboon; The Micro Stage will host various Techno and House sounds. 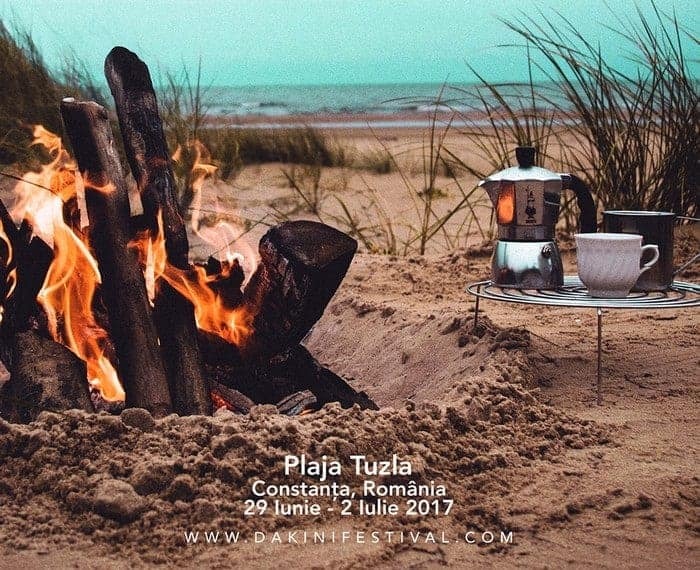 Dakini Festival is situated on the Romanian Black Sea coastline, on the virgin lands of Tuzla Beach, Constanta, about 230KM from the capital Bucharest and is reachable via plane, train, car and buses. Full details can be obtained from the Dakini Festival website: http://dakinifestival.com. 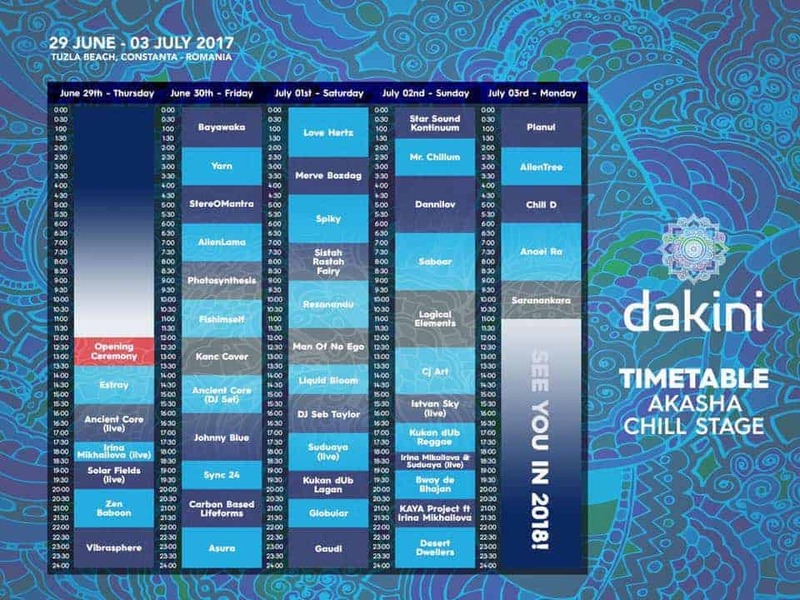 We have below a playlist for you where you can taste some of the Dakini Festival 2017 edition line up.